Simon McMillan from Dunedin is currently in the US on his 2016 Fulbright New Zealand Distinguished Award in Teaching to explore strategies for explicit teaching and evaluation of metacognition in EScience. 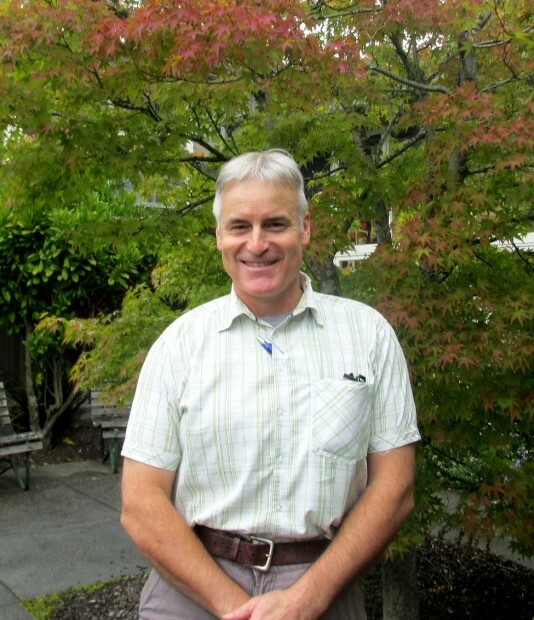 Simon is the Head of the Science Department at Kaikorai Valley College. I became a teacher to help bring up young people: to show them the concern and respect they deserve from any adult and to support them to become their own person, to realise their own self-worth, and become more informed and active citizens. We are assigned to audit two advanced papers at the University of Indiana. This means we sit in and contribute to classes, where appropriate. However, we don’t have to complete the assessments other students are required to do. My papers are in the Education and Historical Foundations of Psychology and Instructional Strategies for Thinking, Collaboration and Motivation. Both are excellent courses delivered by expert faculty staff. In addition, I am attending and contributing to an extra class in Science Teacher Training. All the 21 Fulbright teachers get a chance to be together in a Friday seminar series. Some of these involve expert presentations in, for example, race issues in education, educational systems, language analysis, and the social study of democracy. There is much analysis and discussion in these seminars to explore different points of view and the issues that arise. Most of the rest of my time has involved observing and teaching in a local high school. We are also visiting other schools with different approaches to learning such as, for example, Project Based Learning, Magnet Schools, or STEM Schools. I am enjoying the close friendships you make with other lead teachers from other countries involved in the programme. We all have a lot of fun together and everyone is supportive and understanding of each other. In addition, all the Fulbrighters work on their own inquiry project. My project is titled ‘Strategies for Explicit Teaching and Evaluation of Metacognition for Diverse Learners in EScience.’ It is one of the great gifts of this programme that teachers are given the time to pause and explore more deeply their own and others’ teaching practise; inclusive of investigating the latest research in our different fields of inquiry. We are also able to apply for other funding while in the USA to travel to conferences on subject matter aligned to your inquiry project. What has surprised you the most on my exchange so far is the untold story of the generosity of the United States to many people around the world. This is, of course, apparent in the total support we get from Indiana University and Fulbright Programme staff. However, it goes much further than that. For example, many faculty and students from around the world are given opportunities and grants to study in the USA. I have also seen young people here who are very committed to helping other poorer countries around the world through different programmes or just individuals taking it upon themselves to travel and support individuals or communities in other countries. We are well supported by volunteers from the Bloomington World Wide Friends – a group of local people who take us on outings or have us around for dinner. I even had a student, I didn’t know, pay for my lunch the other day when I got to the checkout and realised I had forgotten my wallet! ‘Have a wonderful day’, she said. The most challenging thing about my exchange has been coping with the heat and humidity of the North American summer, but also just getting around. I have a disability that affects my mobility and we do a lot of walking – so bring some good sturdy walking shoes! Another enjoyable part of our time is taking up the many cultural opportunities our host town of Bloomington and Indiana University have to offer. It seems like every night an event is on somewhere that you can go to and many are free or at very low cost. When I get home, I’m looking forward to sharing explicit ways to add metacognitive elements into teaching in classrooms. I feel most teachers have little practical working knowledge in this field or, if they do, are constrained in such a way as to not explore it. Yet metacognitive development is essential to nurture in our young people; particularly so they can fully engage in controlling their own learning – all within an increasingly interconnected world. If I could give future applicants for this exchange advice, I would say to be prepared to have an open heart and mind to other people and say yes to any opportunities that come up.